After our thrilling caving challenge at Kandu Cave, we had lunch at Nomad Adventure‘s Earth Camp before proceeding to our next outdoor activity: whitewater rafting at Sungai Kampar (Kampar River)! Before heading to the river, our professional rafting guides first gave us a thorough safety briefing on whitewater rafting. The guides taught us the code words used for specific instructions to help us navigate more efficiently through the river. We wore our helmets and personal flotation device (PFD) then boarded a lorry to take us to the jump-off point of the river. It was a really hot afternoon and the scorching sun bore down on us on the roofless truck. As soon as we alighted at the river, we rushed to the water to immerse ourselves in the cool, running water. To test our swimming skills, we had to float along a river bend and swim to the bank, before we grouped up and picked our rafts and guides. Due to very low rainfall, the water level of the river was low, so we occasionally got stuck in between boulders. I didn’t mind spending a lengthier time whitewater rafting because the water activity was a wonderful excuse to get wet and cool off from the searing heat of the season. 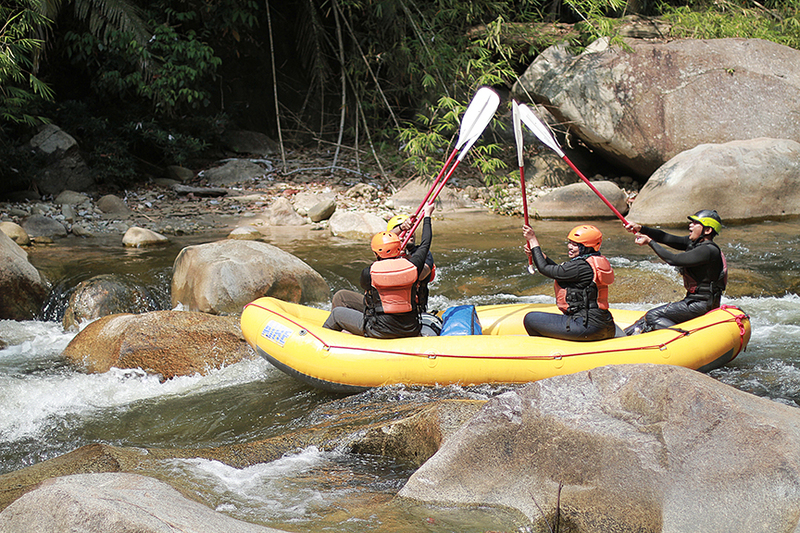 Considered the best destination for recreational whitewater rafting in Peninsular Malaysia, Kampar River has 22 rapids from Grade 2 to Grade 3, suitable for beginner and intermediate paddlers. 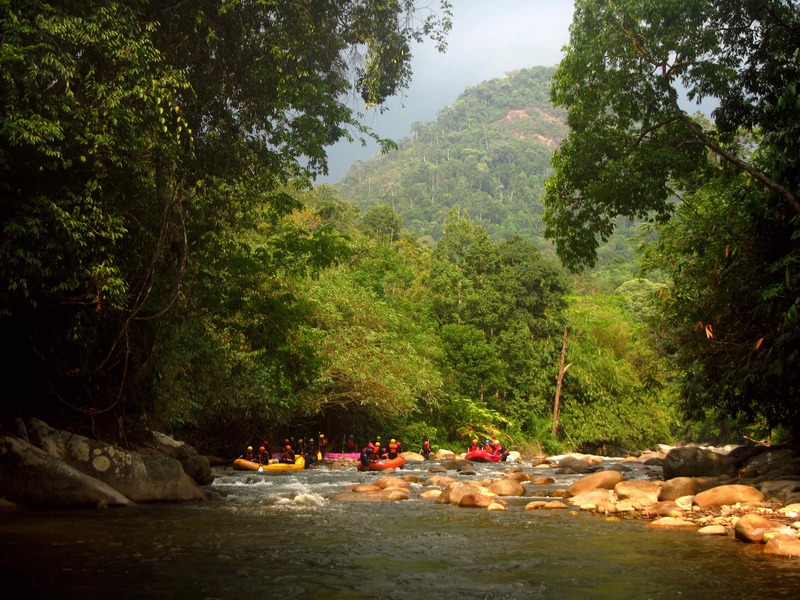 While other operators follow only a three kilometer route, Nomad Adventure rafting trips take paddlers through six kilometers of the river, taking visitors to more scenic portions of the river, which is hemmed in by a jungle valley. 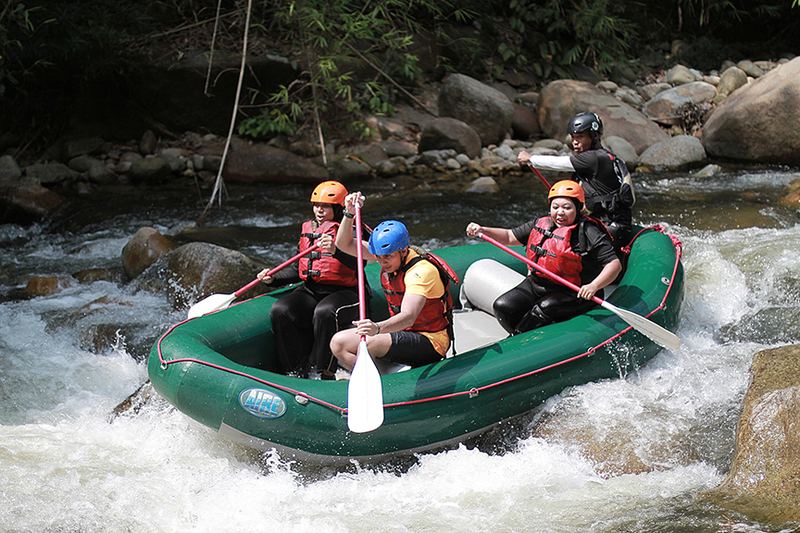 Rafting along the Kampar River was just as thrilling as my first whitewater rafting experience in Cagayan de Oro, the most popular destination for this outdoor activity in the Philippines. It would have been more thrilling during the wet season, when the river’s current was stronger. But I especially enjoyed taking our sweet time floating through the river after episodes of frantic paddling and bouncing up and our rafts just to get through the rapids. I relished drinking in the lush greenery that enveloped us, and occasionally plunging in the calmer sections of the river. This was the most fun way to beat the heat! 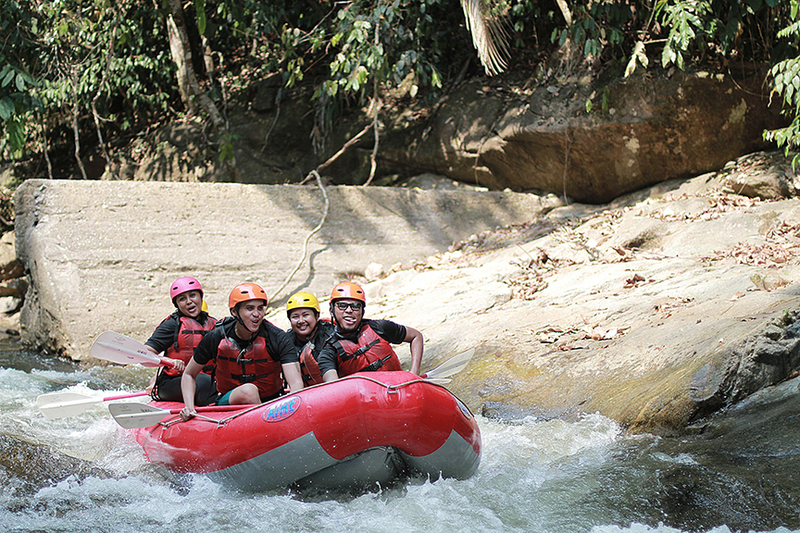 Guided whitewater rafting tours at Kampar River with Nomad Adventure are MYR 165 per person for a minimum of two. For bookings and inquiries, visit their website.